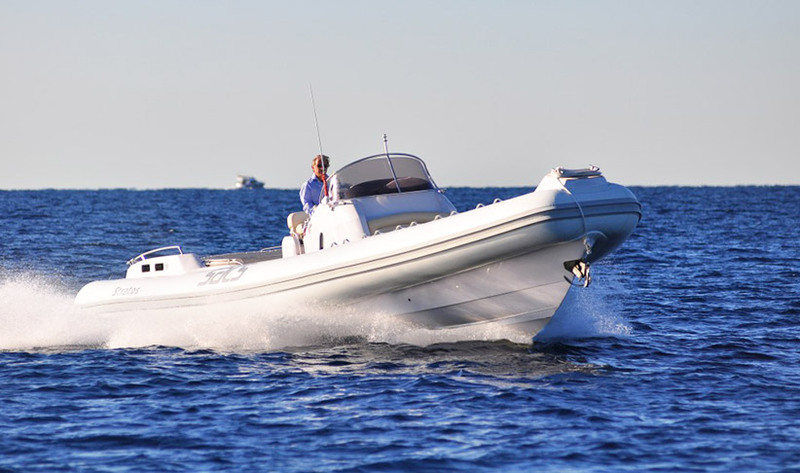 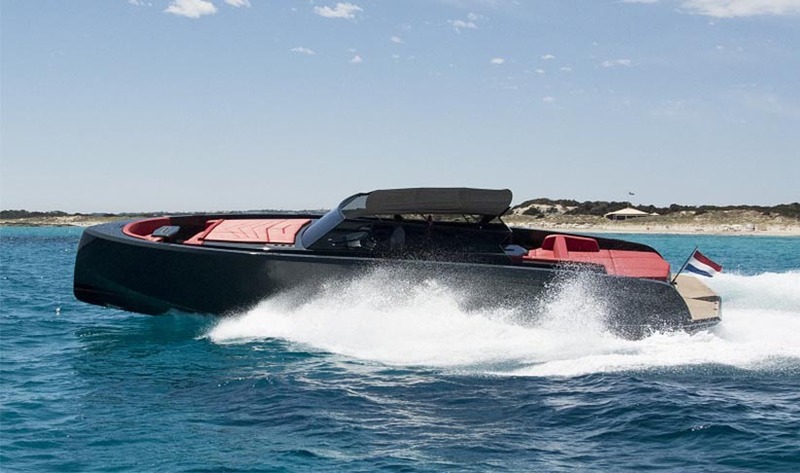 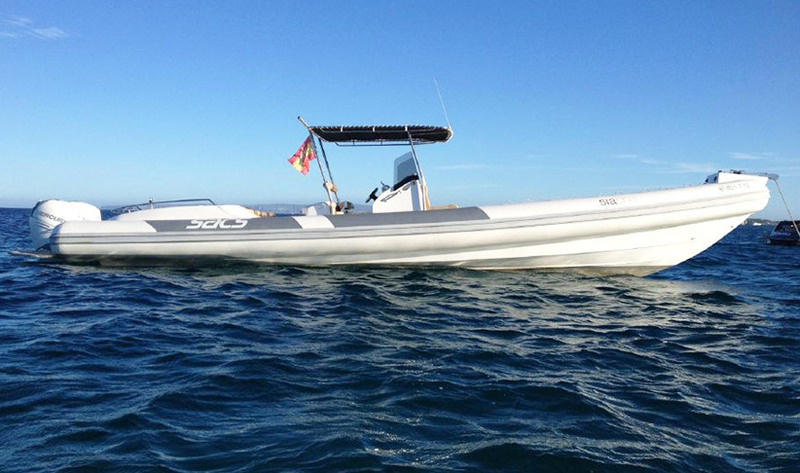 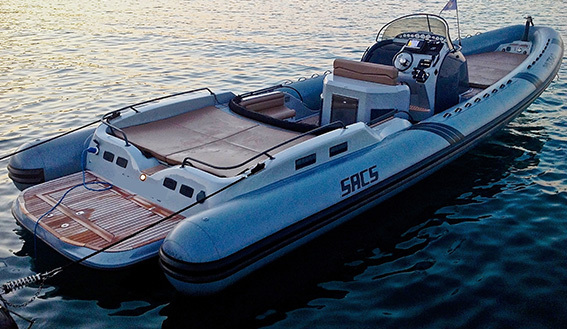 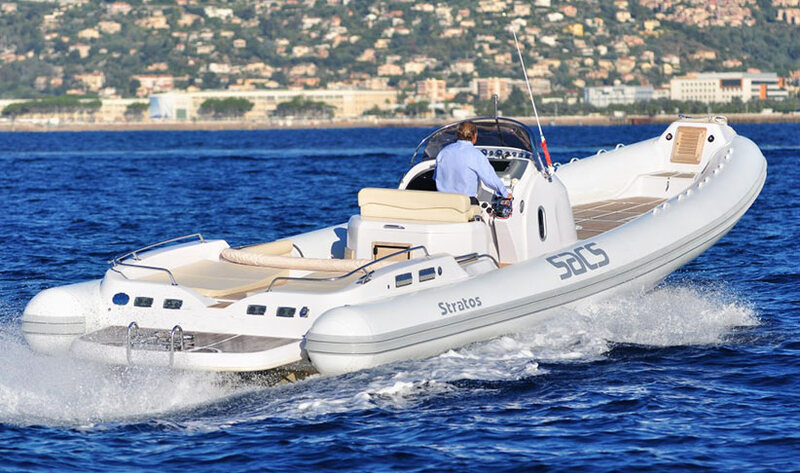 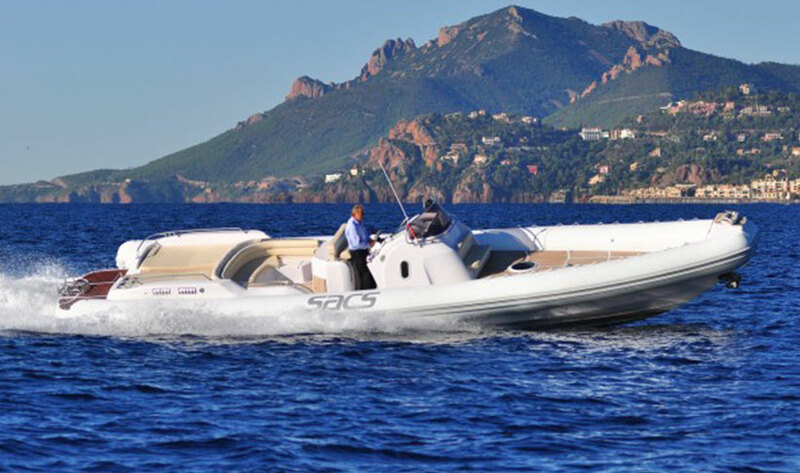 The Sacs Stratos 12 combines high speed with safety and is a great day charter boat, providing all the thrills and speed you would expect from a boat of this class. 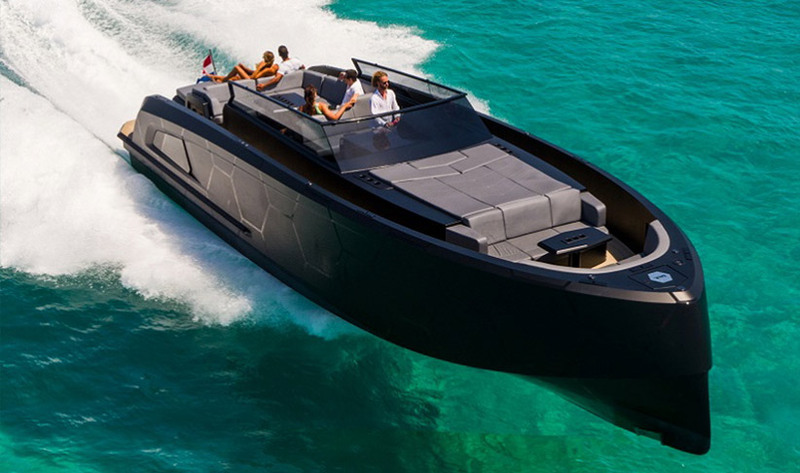 The hull literally cuts through the waves with good stability. 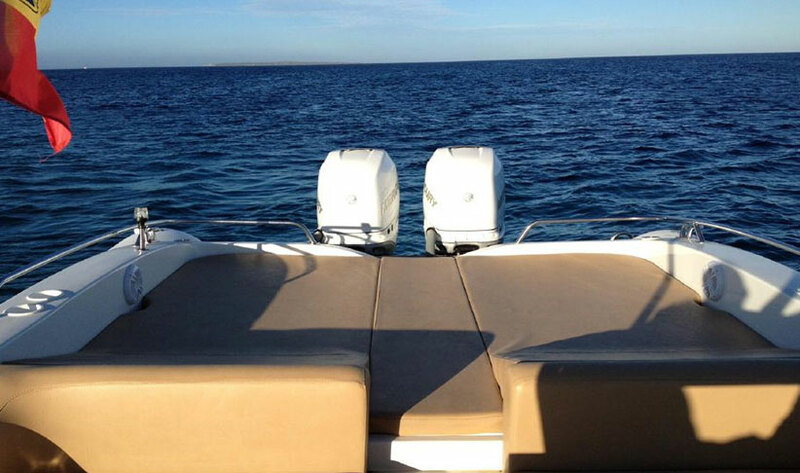 There are two large sun deck areas so ample room for all. 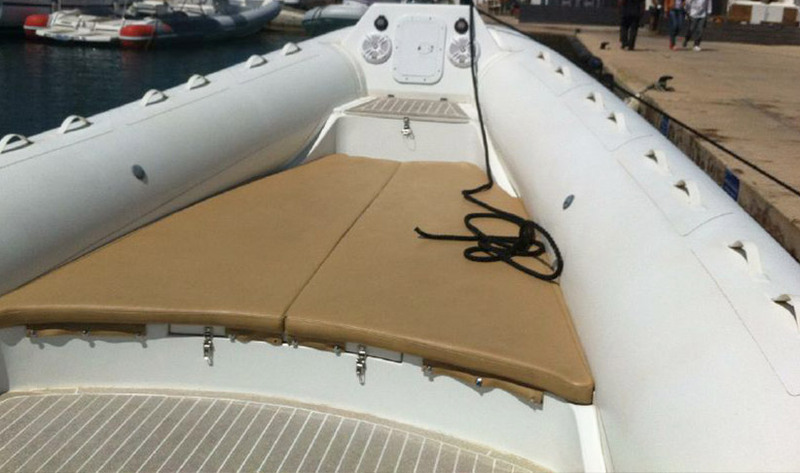 The bow sun deck floor is lower than usual, allowing the air chambers to block the air therefore increasing passenger protection. 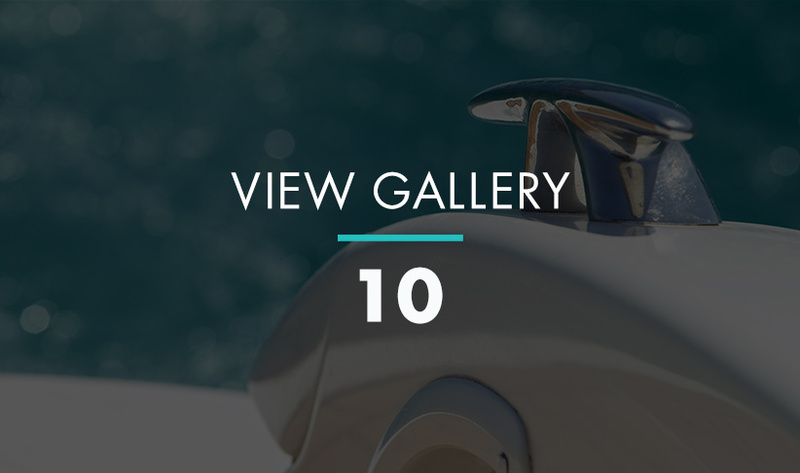 The aft deck is very safe while the boat is in motion, thanks to the handrail that surrounds it. 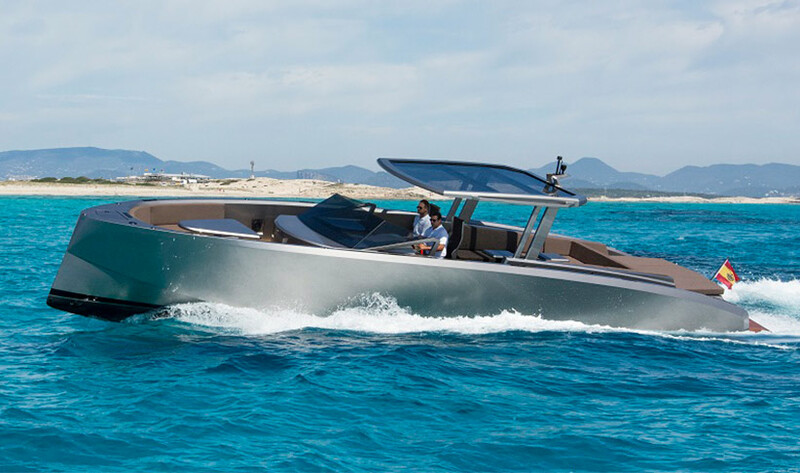 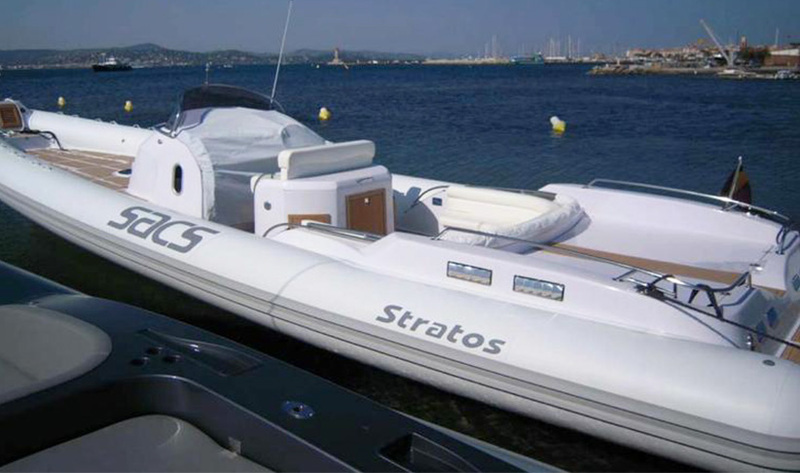 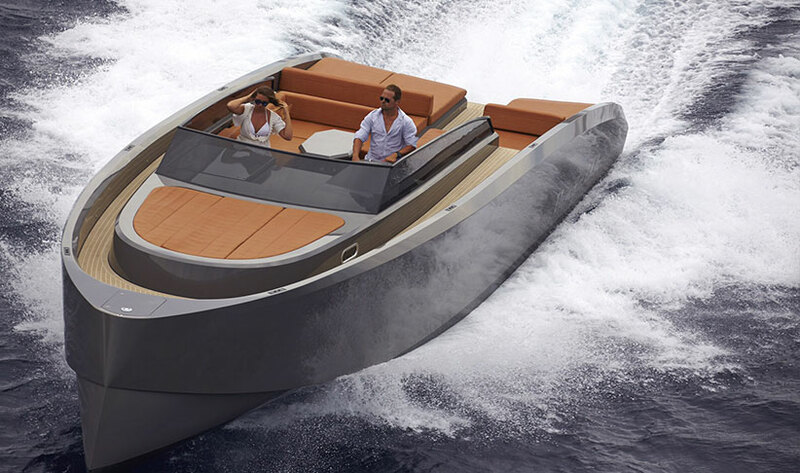 The Stratos 12 also has an open space cabin with a v-shaped bed in the bow. 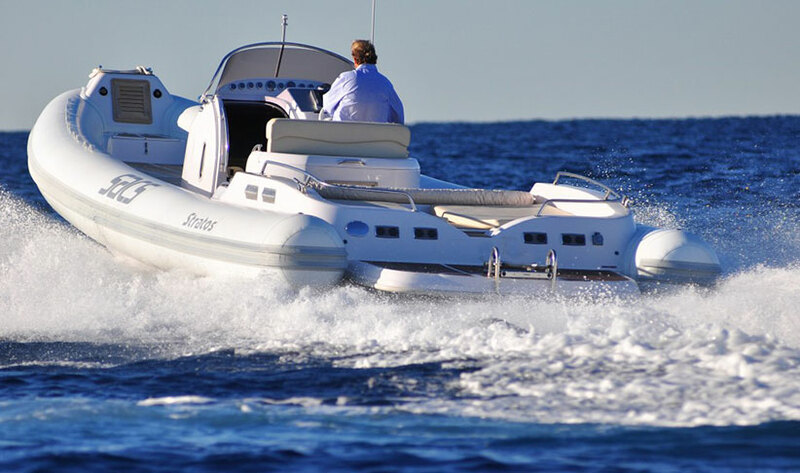 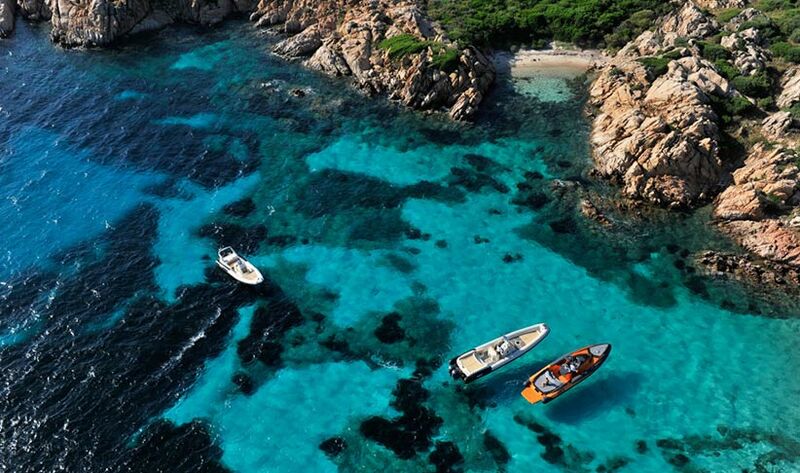 Ideal fun day charter boat. 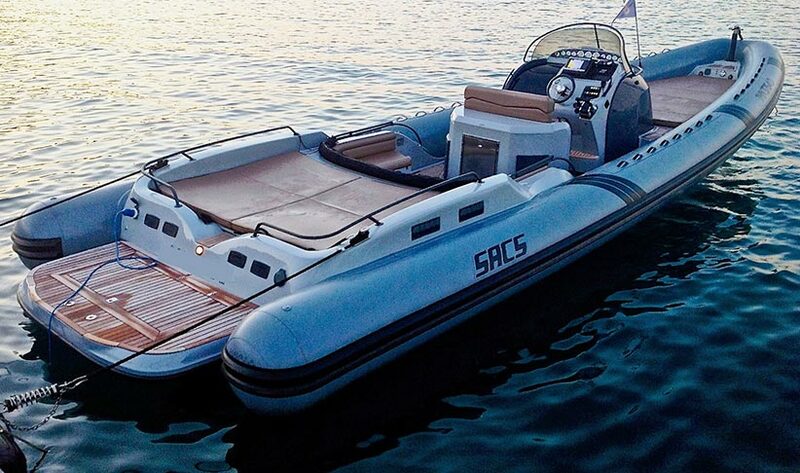 Also depending on itinerary, you can enjoy an hour of fun with the inflatable.